Take a knee, now or later. It seems that last week the prominent national news was more about NFL players protesting than about North Korea, hurricane recovery efforts, or even about the deadly church shooting in Antioch, Tennessee, where one person was killed and seven others injured, all white victims, by a 25-year-old Sudanese immigrant. No, the headlines were all about football players “taking a knee” during the national anthem – imitating a passive, symbolic gesture started by the then 49ers quarterback Colin Kaepernick, who first expressed the defiant pregame posture last year in a protest, he claimed, against shootings of black men by white police officers. This issue is simple and terribly complex at the same time. Diverse political views and constitutional interpretations usually are. Dr. Martin Luther King’s protests against obvious civil rights injustices in the 1960s were neither silent nor symbolic. During that same time frame of social upheaval, the establishment told Vietnam War protestors to “Love it (the country), or leave it,” a rather stern dictate to a generation sincerely crying out for “peace, love and understanding.” Both controversies were violent and deeply polarizing for the country, each side wrapping themselves up in Old Glory. So I’m supposed to think that this juvenile, misdirected kneed-bending by supposedly social-conscious millionaires has any real weight to it? Have these pseudo-pundits ever heard of Gandhi? Nelson Mandela? Tiananmen Square, 1989? The Star Spangled Banner, so much more than just a song, commemorates the bravery shown by outnumbered and outgunned American soldiers when they nevertheless defeated the British at the Battle of Fort McHenry in 1814. 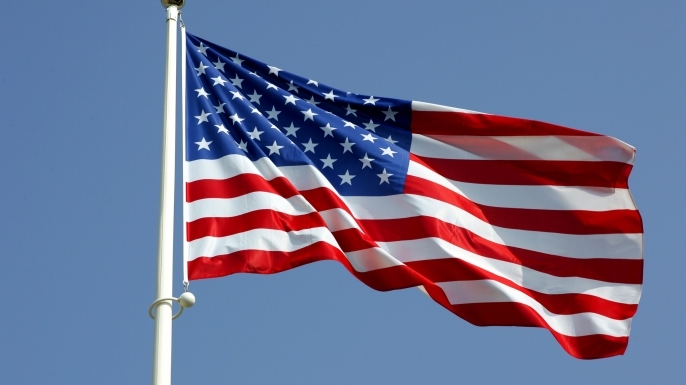 It celebrates, for all of us, “the land of the free, and the home of the brave.” The flag is not just a piece of cloth. It’s a symbol for what America at its very best has to offer: equality, justice, boundless opportunity, and freedom of expression. Countless brave men and women have suffered, sacrificed and died for what it represents, to make sure the stars and stripes continue to unfurl across our nation every morning. Do those who choose to do so have the right to show disdain and discontent for social and political issues? Yes. Should they show blatant public disrespect for a symbol representing the country that allows them the liberty to do so? I say No. Some things like baseball, motherhood and apple pie should be off limits because of the idyllic goodness they represent. Can any one of those entities be flawed and corrupted? Yes. I’ve had a mediocre apple pie. Do some major leaguers abuse drugs? You know the answer. And yet we continue slicing up the Dutch Apple and scramble to fill the best seats behind home plate. Our government and its representatives can be flawed, too. Stop whining. Don’t throw the baby out with the bath water. Get involved and do something about it. 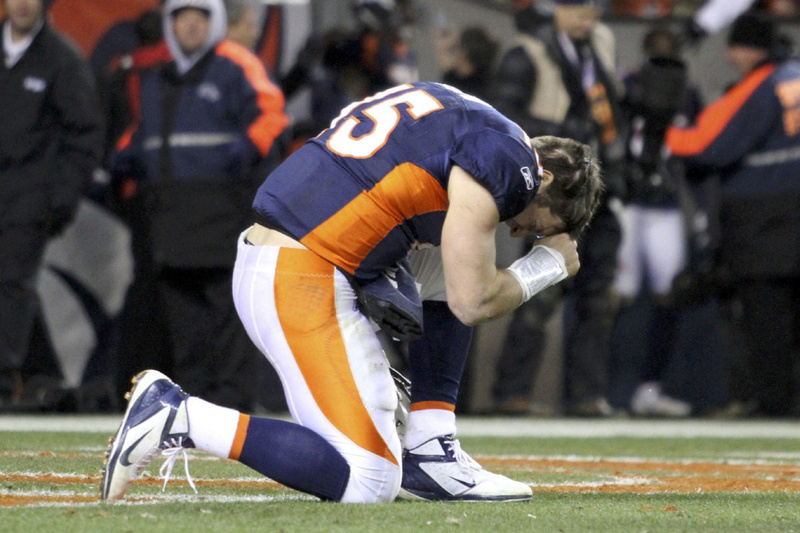 I find it interesting that the same crowd that applauds the kneelers drawing attention to themselves and their “cause” before kickoff are the same bunch of public haters and arrogant sports analysts who not only criticized but actually ridiculed Tim Tebow for being vocal about the role of his Christian faith in his career and for taking a prayerful knee on the field. Tebow’s practice of humility and thankfulness to God reminds me of a verse from Philippians 2:10-11 that says “at the name of Jesus every knee should bow, in heaven and on earth and under the earth, and every tongue confess that Jesus Christ is Lord.” This passage along with volumes of verses from both the Old and New Testaments tell us Who is the ultimate authority and that either now by choice in this life or by compulsion when it’s too late in the next, all will concede to His sovereignty. This silly NFL genuflecting will eventually fade away to another hot news topic, but the reality of deciding who shall be exalted as Lord in my personal life – me and my selfish nature or Christ my Savior – must be faced . . . either now or later. Have you made your decision? Nice contrast. I don’t watch the news hardly ever… well except at work when it’s always on and in my line of sight, ugh. But when people seek perfection here on earth we can easily get upset, well because we’ll never find it. But “they” said it’s here to be found, or at least eluded to it. Good enough might be our battle so that someone else can fight and make it a little better and so on and so on. I’m praying for the Lifegate GO team going to D.C. From 05-10 Oct. They’re going to be praying for our nation. Maybe they’ll be revelation and a new way to look at the problems around us. Maybe we’ll see them as opportunities to love more and bring together more the people around us. Wouldn’t that be sweet? Thanks for being you. I’m hoping for a time to get together. My work has left me with little energy most nights, which is frustrating and humbling. Can we shoot for a time next week (I’m traveling for work this week)? Let me know what works best for you.